Want to make sure your customers pay you the maximum price? 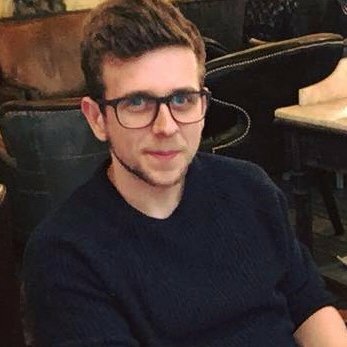 But how do you set a price for your products which will capture this best possible price, without setting it too high and potentially losing sales? As an experienced Amazon consultancy which has worked with over 200 business to increase their sales through Amazon, we know the importance of getting every element right in order to maximise sales. In this blog we have written previously on subjects such as Product listing optimisation and A9 optimisation & algorithm, but how do you go about setting the prices themselves? The value-based pricing approach can be a great way to determine, with reasonable certainty, the maximum price your customers will pay for your product, without overshooting and scaring away sales. This, in turn, helps you increase your profit margin while maintaining sales levels, and ultimately bringing strong revenue for your business. What Is A Value-Based Pricing Strategy? Value-based pricing comes down to how much a customer thinks a product is worth. In this pricing strategy, rather than pricing a product based on its net costs to the seller, the seller sets the price according to its perceived value, as seen by potential customers. In economics, this perceived value is also known as True Economic Value (TEV). According to Harvard Business School’s Marketer’s Toolkit, TEV is defined as the “cost of the best alternative + value of performance differential”. In other words, a customer will pay more for your product if it offers them something extra, up to the amount which that extra something is worth to them. Gaining ground as an ecommerce pricing strategy, value-based pricing has been used for many years in all types of sales, notably in niche markets and for products associated with emotion-driven sales. This approach can result in the greatest profit margins when the product is in short supply, and therefore its value goes up in the eyes of the consumer. 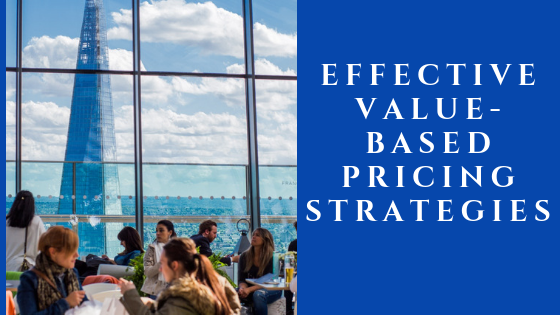 The ultimate goal of value-based pricing is to set the price at the maximum amount that your customer would be willing to pay for that product, thus maximising your sales price and your profit. When implementing a value-based pricing strategy, keep the concept of True Economic Value in mind. Consider what your competitors are charging for comparable products. Of course, researching your competitors is a great way to find this out, and you can also ask your customers, whether through client calls, surveys, and interviews. This latter approach is particularly valuable if you run a B2B business, where competitors’ prices are not always widely publicised, but this information can be useful for B2C also. Note: For new technologies and cutting-edge innovative products, identifying comparative products can be very difficult, as they may simply not exist. In these cases, try to find the “next best alternative” – what your customer may purchase to fill that particular niche if they were not to purchase your product. Next, you will need to identify your performance differential and determine its value to potential customers. What does your product offer that other comparable products do not? What is your product’s point of difference? What is that difference worth to your customer? Consulting with your customers can be a great approach here also – check with your customers (for example through surveys and feedback forms) how much they would be willing to pay for specific features. Also keep in mind here the different market segments relevant to your business. Depending on your business and your product, you may have multiple groups of customers who will place different values on your product and its features. For this reason, it is important to consider your pricing strategy as part of your broader marketing strategy, something we implement as part of our full ecommerce digital marketing solutions, in which you should identify your target customer segments. This is also something to keep in mind when researching value-based prices with your customers through surveys or otherwise. Once you have worked out your competitors’ prices, and what your customers are willing to pay on top of that for what your product offers, you can determine the maximum value-based price for your product. Identify a single market segment which will be your target audience: because value-based pricing is based on the specific value that product has to a particular customer, it has to be specific to one market segment. If you have multiple market segments you wish to market to, you will need to determine the value-based price for each. Determine the price of the next best alternative. This will be a comparable product which has the same features and benefits as your product, minus the performance differential. Check your competitors’ prices for B2C, or conduct customer research to determine prices in B2B. Work out your product’s differentiated worth based on what sets your product apart from the next best alternative (the performance differential). Estimate what the performance differential is worth to your market segment: based on customer research and market knowledge, what will customers be willing to pay for that extra benefit? A key part of this process is identifying the features of your product which set it apart from your competitors. In some cases, these will be obvious, such as unique features or technologies that only your product offers. In other cases, the performance differential will be less about the product and more about your business, and the services you offer that your competitors do not. This could be delivery time frames, level and availability of customer service, technical support, or your returns and refunds policy. These types of benefits can be just as influential in providing value to your customers, which means that they will pay for this value. Considering these elements in your value-based pricing strategy, and marketing accordingly, can significantly boost sales, profit margin and overall revenue for your business. The most common and simple strategy for pricing products is the cost-plus approach. In this approach, the seller simply takes the cost price of a product, considers indirect costs such as business overhead, and adds a set profit margin. The problem with this pricing strategy is it does not consider the market or what consumers are prepared to pay. By adopting a value-based pricing strategy and allowing the market to dictate your prices, you avoid pricing your product higher than what customers are prepared to pay (and therefore losing sales) or lower than what they will pay (and therefore losing potential profit). Value-based pricing is valuable because it allows you to determine and charge the maximum price that your customers will pay, without losing them. It is a much better approach than putting up your prices and seeing if customers will pay them, which is dangerous as you may lose these clients and risk never getting them back. Value-based pricing can be extremely effective when used in conjunction with a strong marketing strategy. Because value-based pricing comes down to the customer’s perception of its value, you can use marketing to influence how much they believe the product is worth, and therefore how much they will pay for it. At the outset, potential clients may not have the product knowledge to truly understand the value of your product and its performance differentials. This can be a common mistake made by businesses, who are so familiar with the strengths and benefits of their product that they sometimes forget that customers may not be. This knowledge gap can lead to the perceived value of a product being lower than it should (or could) be. However, by using effective marketing techniques, you can educate your customer base so that they better understand the value of your product (and its additional benefits compared to comparable products) and therefore raise the perceived value. This is something we implement as part of our full ecommerce digital marketing solutions. This can be particularly relevant with emotion-driven purchases, such as clothing, jewellery, and even home décor items, where the value of the product lies in the emotional reaction. In these cases, the value of the product lies in the feeling the customer gets from it, and clever marketing can be very effective in selling the feeling. This approach is also important when it comes to price increases. Putting up prices is something which can be difficult to sell, however, if you are able to communicate the value of your product and why it is worth the price, chances are you will retain your customers and continue to make sales. Furthermore, you will be making the maximum possible price on all of your sales, boosting revenue and letting you take your business where you want it to go. Value-based pricing has applications across many industries and just about every kind of product. Often, the best execution of value-based pricing strategies is when the price is barely mentioned (if at all), with the focus being rather on the value of the product, and especially its particular value to the individual customer. Imagine you have a business which sells high-end trainers through Amazon. The product you are interested in pricing is ultra-lightweight trainers which are 5g lighter than the next best alternative. Identify your market segment: In this case, your market base is runners interested in high-performance, light-weight running shoes (competition-level runners, fitness professionals, and serious amateurs). Determine the price of the next best alternative: From market research, you know that your competitor is selling a similar high-performance running shoe, which is 5g heavier, for £219. Work out your product’s differentiated worth: In this case, your product’s point of difference is that it is 5g lighter than the next best alternative. Estimate what the performance differential is worth to your market segment: After conducting customer surveys, you determine that serious runners are prepared to pay £30 extra for a shoe which is 5g lighter. Therefore the value-based price for this product would be £249. In other cases, rather than ignoring the cost, the focus may be on how the product essentially pays for itself. For example, in the case of solar panels, these may have significant upfront costs, however, this cost will be mitigated over time by the savings the customer will make on their power bill. In this example, there is also added value for the consumer beyond the cost factors. Specifically, installing solar panels in your home means that the customer is doing something to help the environment, which is something of enormous value for some people. In marketing this product, solar panel companies emphasise both aspects – the value to the consumer in being able to help the environment, and the fact that upfront costs are cancelled out by long-term savings on electricity costs. You have a business selling high-tech electronics and computer accessories through Amazon. There are other businesses offering comparable and even identical products through Amazon. You want to price a new model, quality brand laptop, which your customers can also purchase on other Amazon stores as well as other sites. In this case, your performance differential relates to your business and customer service. Specifically, your business is based in the UK, offers guaranteed next-day delivery within the UK and has UK based customer service including technical advice. 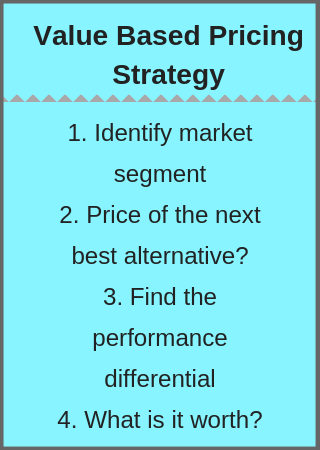 Identify your market segment: Given your performance differentials, you determine that your market segment are customers looking to purchase a laptop who also value quality, service, and technical support. Determine the price of the next best alternative: You know that the same model is available online (from a source which does not offer the same delivery or service) for £449. Work out your product’s differentiated worth: You are selling the same basic product, but with the additional benefits of next-day delivery, superior customer service and technical support. Estimate what the performance differential is worth to your market segment: From experience, you know that customers are prepared to pay £80 more for these services. Therefore your value-based price will be £529. Value-based pricing, when executed well, can greatly improve sales rates, as well as the profitability of each sale. Through researching the market and considering your market base, you can determine the maximum price your customer is willing to pay for your product. This means you will achieve the best possible profit margin on your products without risking losing sales. When implemented in conjunction with strategies for increasing organic rankings on Amazon, this e-commerce pricing strategy can help you to increase your profits exponentially and grow your business. 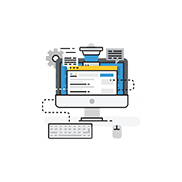 We can help you boost your product rankings and earn more through Amazon with our unique, self-developed RANK methodology and can even provide full e-commerce digital marketing solutions, combined with successful ecommerce strategies such as value-based pricing. View our case studies now to see how we have used our Amazon marketing & SEO strategies to grow countless businesses. PrevPreviousDo Discounted Product Giveaways & Reviews Still Work In Amazon?